A University of New Mexico student group was nationally recognized for their efforts engaging and recruiting those interested in the ‘planning’ portion of architecture and planning. The American Planning Association (APA) named the UNM Student Chapter a 2018 Outstanding Planning Student Organization in the category of Involvement with APA. APA-UNM is part of the School of Architecture and Planning (SA+P) and includes architecture, planning and landscape architecture students – encouraging collaboration and community within SA+P. “What we’re really trying to do is build relationships with planning professionals throughout the state and on the national level,” said Katie Dix, president of APA-UNM. UNM Community and Regional Planning (CRP) students work with communities to plan and advocate for sustainable futures. The program aims to create professionals with the knowledge and skills to support planning that is responsive to people and place. 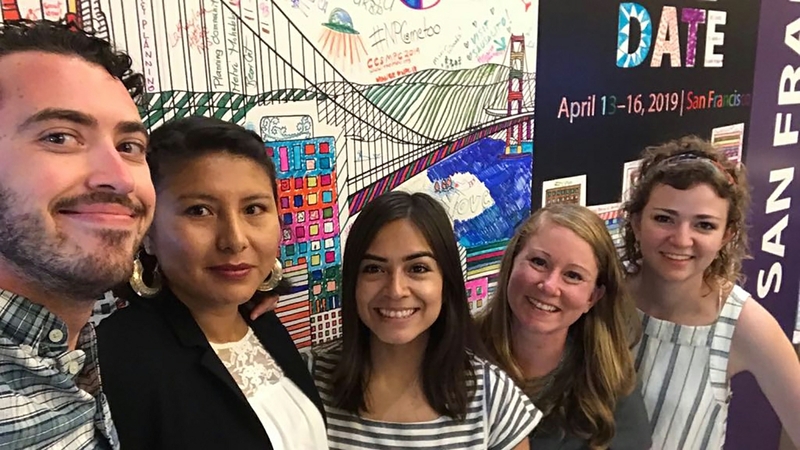 Last year, the APA-UNM group worked on increasing their programming, which are aimed at getting students involved with the APA and learning tools for professional engagement. Their application for the award highlighted the numerous events they’ve coordinated and hosted both on- and off-campus to provide students with the opportunity to network and learn from professionals in the field. It also touched on the rare opportunity students receive to interact with future employers on the state level. “The New Mexico APA has let us have a voting voice on their board when they were discussing strategic planning, and that really allowed us to provide feedback on some of their initiatives to engage with students,” Dix said. “Student involvement in the board play an important role in bringing diverse perspectives to the world of planning in New Mexico. 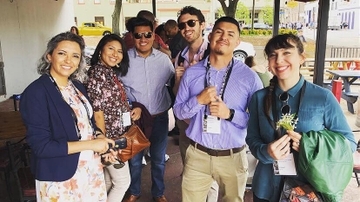 The current slate of leaders among the UNM Student Chapter has made significant strides with membership engagement,” wrote Erick J. Aune, president of APA-New Mexico. During the 2018 awards, APA UNM was also recognized for their level of fundraising. APA UNM raised enough to send 12 of its students to the national APA conference earlier this year, 10 of which were supported through fundraising efforts. That’s four times the number of students the group was able to send to the conference last year. This isn’t the first time the student group has garnered national attention. Last fall, they hosted a session on the AICP Planning Certification, which was attended both by students and industry professionals. The group is also growing in popularity across the campus community, with the addition of students from Latin American Studies, Anthropology, Native American Studies and Engineering.